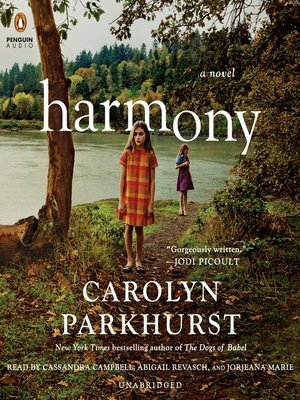 From the New York Times bestselling author of The Dogs of Babel, a taut, emotionally wrenching story of how a seemingly "normal" family could become desperate enough to leave everything behind and move to a "family camp" in New Hampshire—a life-changing experience that alters them forever. How far will a mother go to save her family? The Hammond family is living in DC, where everything seems to be going just fine, until it becomes clear that the oldest daughter, Tilly, is developing abnormally—a mix of off-the-charts genius and social incompetence. Once Tilly—whose condition is deemed undiagnosable—is kicked out of the last school in the area, her mother Alexandra is out of ideas. Carolyn Parkhurst is the New York Times bestselling author of the novels The Dogs of Babel, Lost and Found and The Nobodies Album. She lives in Washington, DC with her husband and two children.